Hello, and a very warm welcome to this latest edition of the MIS Online Newsletter. It was Mother’s Day in the UK today, and to celebrate mums Madness have released a lovely four minute interview with Woody’s and Mike’s mothers. The two talk about their favourite tracks on the new album, and explain what their sons do for them on Mother’s Day. Moving on, and we go down under, as this week we learned that Caravana Sun have been announced as the support band for the forthcoming set of Australian Madness dates. Check out the band’s web site at http://www.caravanasun.com where you can listen to a selection of their tracks and find out a little more about them. The supporting of Madness is clearly a very big thing for Caravana Sun, as it gets a massive section on their main page devoted to it. On the subject of support bands, we expect further acts for August’s House of Common festival to be announced this coming week. As always, if we hear anything we’ll make sure it appears in next week’s issue. It’s quite different from the album version, and we feel it’s well worth a listen. 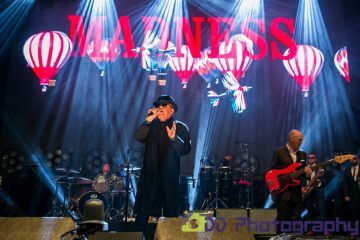 And finally, before we get on with the issue, our thanks to to Michael Farmer for contacting us earlier in the week to let us know about Madness September appearance at the Electric Picnic Festival in Ireland. Unfortunately, the event has already sold out, so if you don’t have tickets you’re stuck. Now, on with this week’s issue. Thursday 6th – Hong Kong, China, Rugby Seven’s Opening Concert. Three new dub remixes of the track “Don’t Let Them Catch You Crying”, from the current album, are now available. Leo Zero, the London based remixer and producer, has created the new mixes. You can buy them from Madness artist pages on iTunes and Amazon, and many other music sites. They can also be streamed through Spotify. The mixes are the “Leo Zero remix” and his “Tufnel Parkas” mix, available both as a dub and full instrumental versions. 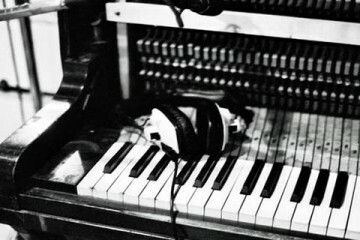 The former samples “Rocksteady beat” from the start of The Prince before riffing on the title song. The latter mixes make atmospheric use of the backing vocal stems and there is much looping of the guitar stabs on the tracks. It’s perhaps fitting that Leo Zero has previously worked with Bryan Ferry, as this particular Madness track from the Can’t Touch us now LP is the most dance music based track from the latest batch of Madness and so suited to elongated 12″ length instrumental musings. Certainly more so than some others. Even if these remixes won’t dazzle the general fan, they are a nice experiment that highlight in stripped down parts, some of the elements that go towards the finished Madness song on the album. We feel a dubplate coming on. Jonathan Young. Our thanks also go to Mark Doherty for a heads-up. The album mix of Drip Fed Fred and the “passed this way” Radio edit of Johnny The Horse, first time on vinyl in a fetching ransom note style 7 inch picture cover. Different from the news camera’s coverage. PRS talk to Suggs in the dressing room of the Dublin Castle, last month, during the awarding of the plaque. He talks about the early days of The DCe “Going off like a packet of crackers” and the scene from Take It or Leave it. Melody Maker’s first review of the band is discussed and importance of small venues is emphasised. Neglecting small music venues is like saying you’ve got an oak tree but you don’t want to plant any acorns. The bands first PRS Cheque was probably about 100 pounds and the band used it to buy shoes. There are fresh calls for touting legislation after Electric Picnic tickets appeared online for multiple times face value. Tickets for the festival sold out in record time yesterday morning. Within hours they appeared online for double and triple the original cost. Sinn Féin’s Maurice Quinlivan says it is disgraceful, and is looking for support for his bill that would limit re-sale profit to 10%. It’s 2017 and Ed Sheeran held 16 of the top 20 singles chart spaces last week, due to an overwhelming mix of streaming plays, but strong physical sales too, and an abundance of download track choice. This is all thanks to the response and demand for every song on his new album “Divide”; the latest in his linked release career plan. This week Drake’s album is doing something similar giving him 22 places in the top 100. That’s 42% of the singles chart dominated by just two artists. Now, If you’ve followed the chart success of Madness all these years, you’ll be feeling all the more old and out of place probably as a result of such news. What was once a simple weekly sprint to the finish to see who was top of the pop world, may now seem like a bizarre team pack of eggs on some spoons race where the real focus is on how many times the omelette is flipped the next day anyway. How Might Madness have charted, if back in the days of Absolutely, every turntable spin you gave the LP counted for something, and the wear and tear on each groove was monitored separately to be reported back to HQ. Would it bring you any cheers then to tell you that last week Madness re-entered the physical singles charts, a rare race for them in these days of twilight time. That they sold well on vinyl singles this fortnight. A format pretty rare out there for sure (this side of busy record store day special releases, which this isnt directly about by the way,) and given the fact the band hasn’t released any physical singles for the last two album cycles now. Bizarrely, NW5 has re-entered the vinyl single sales chart at 32 last week (Holding now at 37) . This contributes to the physical singles chart where they are currently 57 after placing 52nd last week. Of course this isn’t enough to enter the top 100 singles chart over all. We always felt we would love NW5 all our lives, but to see it chart again, even on the sale of small numbers required to reach the 50’s in the vinyl charts does bring a rather large question mark. We wondered if there was a re-issue out there. Seems an odd time to do one, given that the Record Store day targeted Drip Fed Fredd re-release is due for the April event day, when demand will be focused for such special occurrences on vinyl. But Salvo are listed as the record label and not Lucky Seven against this chart placing. We have asked but not yet heard any word back on NW5 from the record company. The original single was released, limited edition ten years ago now on the 2007 tour ordering system first, and has long been deleted, and some further remaining stock perished in a Sony owned warehouse fire during London riots. Are we seeing a German reissue in uk shops then? Has a pallet of old stock turned up in a band members garage? Is this the Wixxer on a conspiracy plot? We are starting to wonder if there is a barcode error or something mis-filing this record. If you happened to buy NW5 in a record store of any kind this last fortnight, do get in touch with the details. If we find out anymore we will let you know. For just a song to sing, us now. The Mexican MIS had their Christmas time come early, as the band landed in Mexico and Chris took time out to talk to fans about the new album and more, with even a few Spanish points of interest. 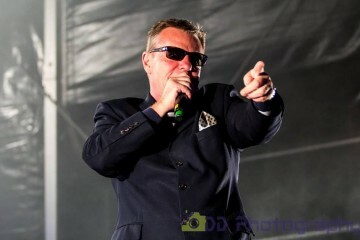 Suggs was asked what did he expect of tonight Mexico gig. Next, it was over to Twitter and Facebook as we highlighted some of the more interesting snippets to appear on each network. New songs sounding jolly good Madness would be playing at the Stuttgart Jazz Festival on Thursday 5th July, and tickets were now on sale. 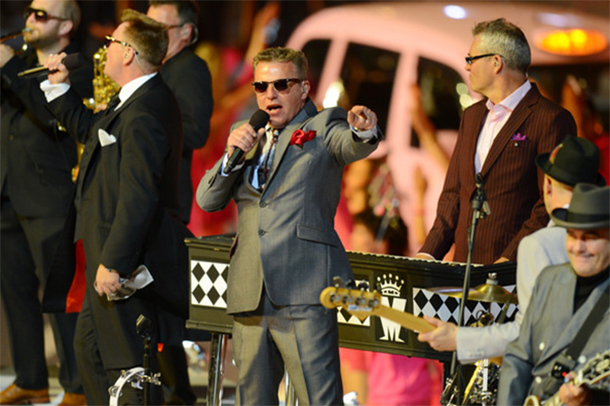 It was on to tour news next as we reported that Madness would be playing at the Stuttgart Jazz Open Festival, Schlossplatz in Germany on Thursday 5th July 2012. Not only that, but tickets were now on sale. Following this it was over to Chris, who gave a very lengthy and detailed response to an anti monarchist question which appeared in his cupboard. We brought this issue of the MIS to a close with a write-up from Mark Charlesworth who had been to see Suggs DJ in Sweden at a bar called Marie Laveau. “Suggs did his first spot around 11.45 and was on for about an hour. Playing only vinyl he did well to keep everyone dancing for that hour. A good mix of some of his favourite tracks and well as a couple of floor fillers. 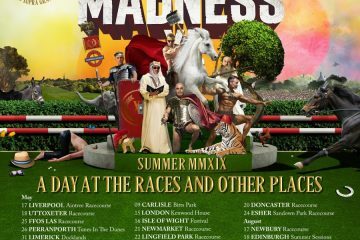 Following our unscheduled midweek announcement that Madness would be performing at Newmarket Racecourse on Friday 20th of July we then learned that the band will also be staging a concert at Blickling Hall, Norwich, on Sunday 22nd of July. 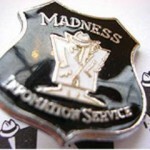 Obviously inundated with constant questions from fans attempting to find out what Madness gigs are and aren’t taking place this coming Summer, the official MadSpace team decided it was time to issue one of their irregular MadBlogs to help clear a few things up. MADBLOG NUMBER 33 – GIG RUMOURS – NO SMOKE WITHOUT FIRE? The fact is, we’re rumoured to be playing at every conceivable gig, festival, City, venue and Barn Dance in England this year. Some that spring to mind include Glastonbury, Bestival, Guilfest, Newmarket, Liverpool, Southend, Chester, Ascot, Darlington, Hackney Empire and Madstock! Well first things first, Madstock is definitely NOT happening this year… that is confirmed. However, we can now confirm that as well as the Peel Bay festival, we are playing Newmarket and we are also at Guilfest (full details to follow). we expect to announce at least another 6 UK shows plus news of something very special we are planning at Glastonbury very soon so stay tuned! 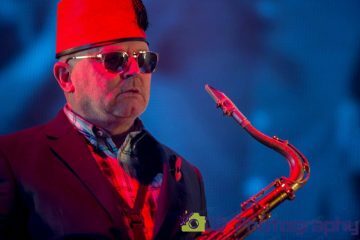 In UK music news we learned that Madness had entered the UK Indie chart at number a very respectable 3, and this week had slumped two places to 5. 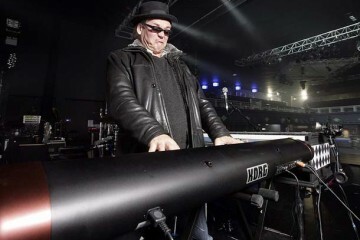 On to the articles, and we began with Jonathan Young’s review of Madness’ appearance at the Hackney Empire, and a night of old time music hall. We took a look at a compilation mix CD from one Lemon Jelly, which extended to three CDs. Madness appeared on the third with Bed and Breakfast Man. 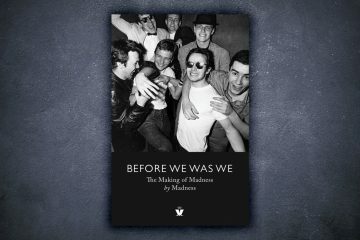 We went over to Chrissy Boy, who cleared up a few outstanding fan questions via the Official Madness Messageboard, and the NME reported that the early 80s British 2-Tone music scene was set to be immortalised in a new film. 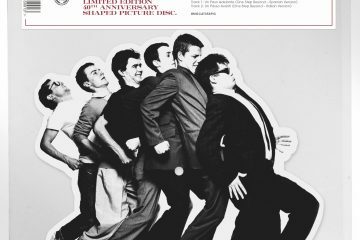 The issue came to a close with in-depth news revealing that Madness would be performing at Bickling Hall. We started off this milestone issue with a thank you to everyone who’d contributed towards the first 150 issues, and encouraged readers to continue their support. News elsewhere was that the forthcoming Crunch gig to be held on the 5th of April was to be cancelled and rescheduled for a later date. Exact reasons for the cancellation were no known, but with Chris’ wife expecting a child at any moment it was thought that this was the most likely reason. Following his request for Maddies to email him with support for his possible forthcoming Madness book, author John Thorpe got back in touch with the MIS to say just how positive the response so far had been, and that this had encouraged him to continue with his writing. 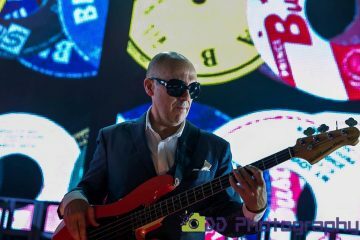 Further on in the issue we reported on The Blockheads’ recent gig at the Camden Jazz Cafe, to coincide with the release of the final Ian Dury and The Blockheads album, Ten More Turnips From The Tip. To commemorate the launch of the new album the MIS had 4 sets of Blockheads badges donated (err, stolen) from the album launch party, to give away. One of the largest articles this issue was our lowdown of the latest issue of Skazine, Mad Not Mad, which, with this issue, had now notched up an impressive 9 issues in total.. Unlike previous issues, number 9 contained only one Madness article, but what an article it was – a whopping 6 pages devoted to the 1988 release, ‘The Madness’. However, this wasn’t enough for us to recommend the issue to those interested in only Madness, and not the Ska scene in general. If you were into Madness AND other Ska bands then it came well recommended from us. Steve Turner, a name that would familiar to Madness fans in future years, returned from his 1st German tour, with his tribute outfit, The Los Palmas 6. It turns out that the short tour saw the band perform at 3 army bases in the country. The band went down so well that they were invited to come back again in May for the Army’s 3 day long beer festival, which saw over 100,000 people through it’s doors. To finish off the issue the MIS gave a brief track by track review of ‘Ten More Turnips From The Tip, and issued it with a very respectable 8 out of 10. Screened from film cinematographer Joe Dunton’s own 70mm copy! + Rhoda Dakar, Phoenix City All-stars (Dexys set), The Equators and more tba! The 2nd of March saw vinyl sales of Total Madness boost the album to re-enter the UK albums top 200 chart at number 157, after over a month missing. It was to be a one week wonder. On the indie chart it re-entered the same week too at 22. It has since been 50, 44, 45 and 39. It entered the vinyl albums chart at 21 and was a one week wonder. This week’s issue of the MIS draws to a close, but before we go we’ve got one last snippet of information to pass your way. Early in the week, the Madstore sent out emails to all those people who’d previously ordered items from them. If you’re one of these people but have yet to see an email land in your mailbox then check your spam and deleted folders. Once you’ve found the email reply to it, sending them your name address plus choice of item (detailed in the message) and size. If you’re lucky, you could win a prize as a thank you for being a previous customer. The draw takes place this coming Saturday.